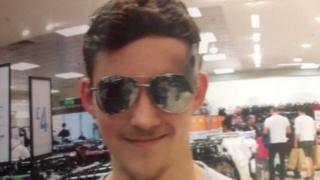 A 16-year-old boy who could not swim died after getting into difficulty off the Gwynedd coast, an inquest heard. Blake Ward, from Dudley, died after going into the sea while on the beach at Tywyn on 31 July last year. At a Caernarfon inquest, coroner Dewi Pritchard Jones said it was "very similar" to other deaths he had dealt with in the area, caused by strong tides. He gave a conclusion of accidental death and the cause as "drowning". The inquest heard from a number of people who tried to save Blake, but efforts were hampered by large waves and a strong riptide. Members of the public, and the beach warden gave CPR, with the coroner describing the efforts as "miraculous". They enabled Blake to be taken to Alder Hey Hospital in Liverpool, where he died on 4 August. The coroner said there were strong tides in the area, adding: "The effect of all this is over the years we have unfortunately had to deal with numerous child fatalities." He said Gwynedd council had in recent years been "very co-operative" in responding to incidents and had increased signage, not just in Tywyn but in other areas. Blake was waiting to collect GCSE results from Hillcrest School and Community College, Dudley.